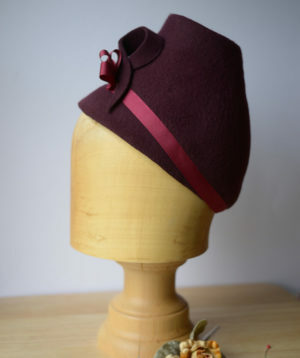 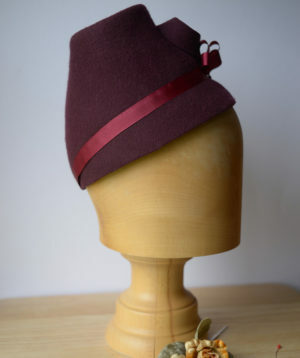 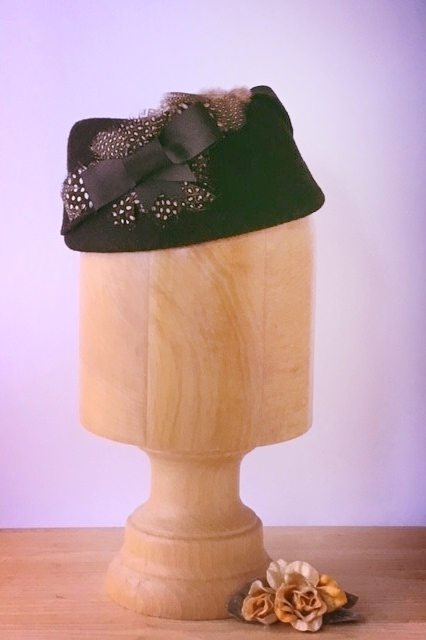 A simple softer bodied, classic pork pie tilt pillar box style hat. 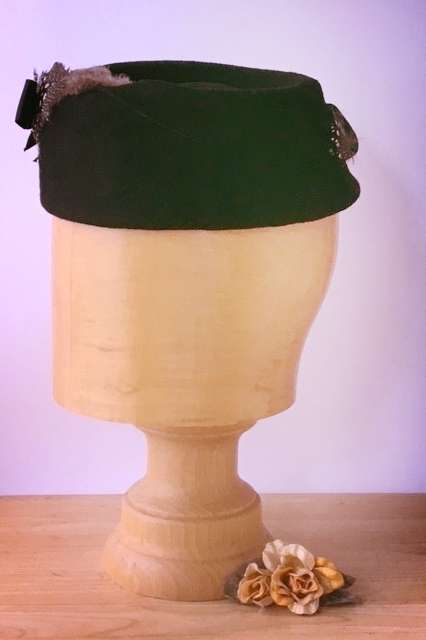 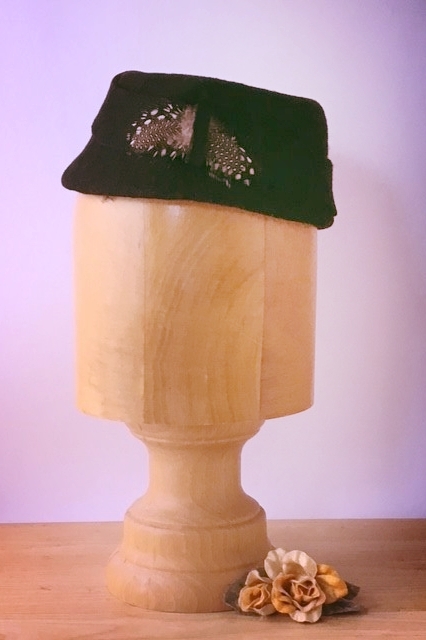 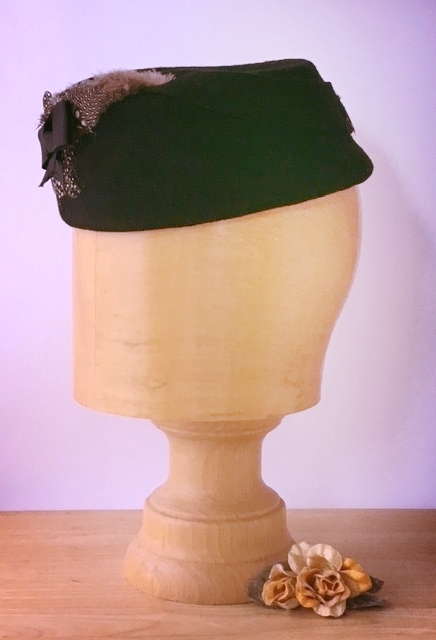 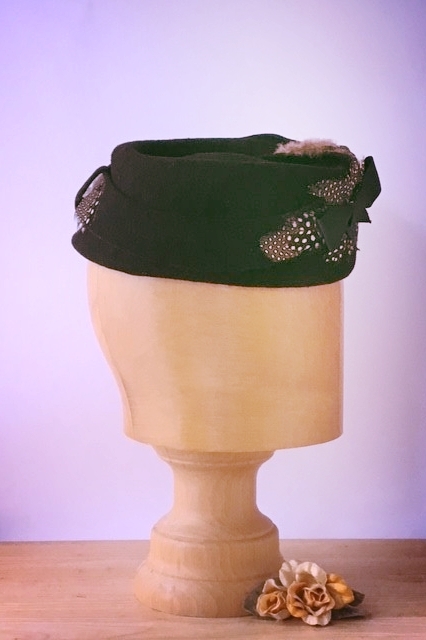 The black felt has a motif of black and white spotted feathers at the front with black grosgrain bow. 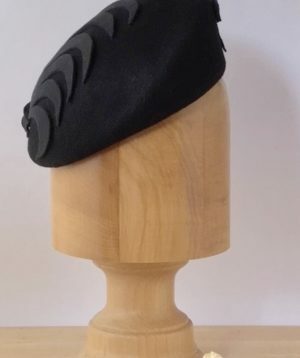 To the side a black felt motif wraps around to the back where another simple feather motif is found. 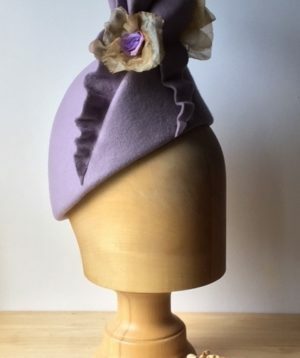 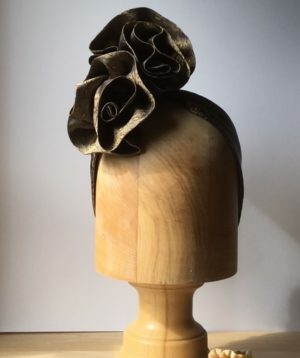 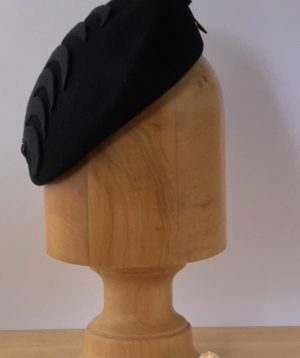 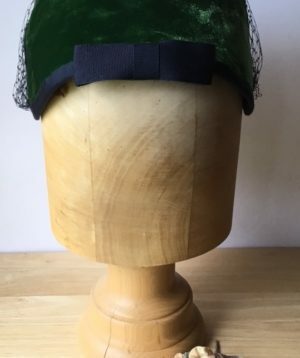 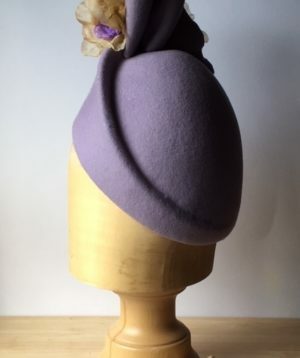 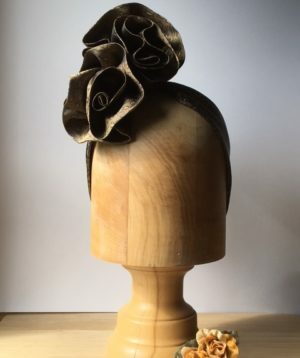 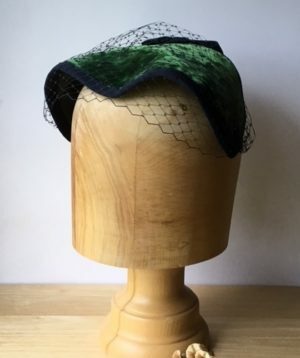 This hat is always popular and sells regularly to the re-enactment sisterhood but none of these hats are the exact same as its counterpart, so individuality is always assured.